SUMMER HAS ARRIVED! Congratulations everybody. We finally made it to Memorial Day weekend. Now it’s time to get outside and celebrate! Here are three great options for things to do this weekend. 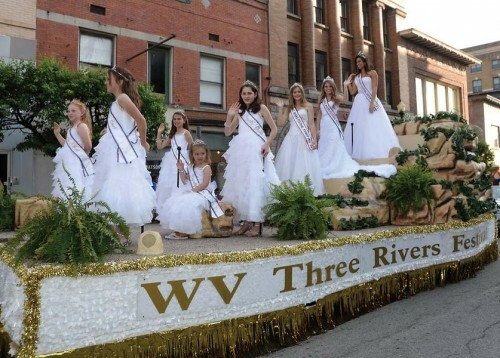 The 35th annual West Virginia Three Rivers Festival in Fairmont is officially underway! You missed the parade (it was last night), but you can still get to the carnival or try out the homemade pepperoni rolls in a bakeoff tomorrow. Check out the full schedule. This is a West Virginia—Grafton has the longest on-going Memorial Day Observance in the country. They’ve had a parade every year since 1867. The parade starts at 10 a.m. They also have a whole host of other things going on Friday through Sunday as well. Originally started as a gathering to bring West Virginia musicians together, today the festival is a celebration of all things West Virginia. They have music, dancing, stories, crafts, food and “old-time activities for young’uns.” Admission is free and the festival is held on the grounds of the state capitol. More info.